Classic Memorials is the leading cemetery monument and headstone company in Highland Heights, OH. We take pride in honoring our clients’ loved ones with quality headstones that beautifully memorialize their legacy. Classic Memorials president and artist, Val Konstantinovsky, is a Certified Memorialist®. This designation is held by fewer than 110 people in North America. His hand-etching and engraving have been featured by Cleveland.com, “Stone in America” and “MB News.” He applies more than four decades of experience to create distinguished headstones and monuments for your family. Family Memorials/Mausoleums: We use only the finest granites to construct mausoleums that stand the test of time. Our personal consultation with your family ensures the design and features are ideal for your needs. Hand-Engraved Portraits: Our detailed, custom monuments appear as if a photo was etched in granite. Engraving at the Cemetery: Our long history of strong relationships with area cemeteries provides complete knowledge of their rules and regulations. Monument Duplication: We can accommodate a oved one’s wishes or continue a family tradition by replicating a previous design. Pre-need Memorials: This option spares your family from the emotional and financial burden in the future. Bronze Markers: Our professional designers will help you choose the perfect style for your bronze marker to remember your loved one. Cleaning and Restoration: Our Forever Clean™ 7-step process offers an effective, safe approach to maintain headstones and monuments. 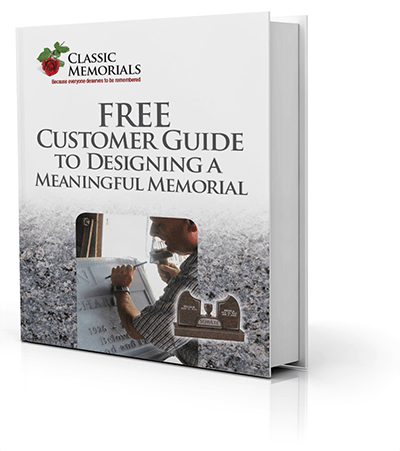 Classic Memorial’s full service includes plot decoration, gravesite care and cleaning. Classic Memorials loves working in Highland Heights, OH, and considers it a privilege to provide residents of this beautiful town with gorgeous monuments to honor their loved ones. Rated in the top 30 places to live in the U.S. by Money Magazine, Highland Heights is an inviting city. We are proud to be a part of this dynamic community. Our team is committed to continual delivery of top-quality monuments in this top-quality city. For more information on Classic Memorial’s monument and headstone services in Highland Heights, OH contact us today at 216-321-6740.